Canine by Kaitlin Bergfield is a serious departure from my typical reading list. If you were to go down a list of characteristics that I typically stay away from, this book would hit most of them: Paranormal? Check. A cast of characters comprised almost exclusively of men? Check. Werewolves? Double check. When I started a book about a werewolf, I expected it to fall into some of the old tropes we’re all used to – frightened human, excruciating transitions around the full moon, wolfs bane, silver bullet, a general broodiness that accompanies most werewolf novels. Luckily, Canine does a good job of avoiding a lot of the pitfalls of some of the more recent paranormal books. In truth, our main character (who answers to a multitude of names throughout) is – dare I say it? – pretty normal for a 29 year old guy. And because of this, I struggled at first to feel empathy in his story. What would I have in common with an adult male werewolf who self-admittedly feels uncomfortable around gay people, spends the majority of his time in dog-form, and who is literally on the run from something in his past that could end him? My aversion to some of his character flaws, though, brought up an interesting question within myself: Can you enjoy a book when you don’t identify with the main character? And much like any answer to life’s tough questions, the answer isn’t as cut and dry as you might think. Throughout his journey, we learn that our main werewolf, Christian (who is given a different name by every human owner he encounters) has spent the entirety of his adult life running away from his past. If you think your family baggage is rough, at least you probably don’t have maniacal werewolf-relatives hunting you down for abandoning the family. When things get too complicated, or a human starts to notice some of his definitely non-doggish behavior, he runs. He doesn’t think too much about it, and his only focus is survival. But when he finds the perfect roommate, someone that he feels could finally end his never-ending quest for peace, he abandons what he’s always known and he does the unthinkable: he stays put. Despite my initial aversion to Chris, and what I thought was a lack of commonality, I found myself rooting for him by the end. Who among us hasn’t tried to run from something? Maybe ours was figurative, and quite different from his journey, but I started to feel towards the middle of the book that what this story really showed was the ability of all of us to find redemption: to move beyond the baggage of our past, and to let our friendships with others transform us for the better. By the end, I saw the character change from someone who would scoff at the bonds of relationship to someone who was forever changed by them. Now, if you’re thinking that this werewolf story had a warm, gooey ending based on my changed feelings, I’m sorry to disappoint you. The real action-filled and exciting part of the story doesn’t start until around chapter 10, and while I wish it could have taken up a larger chunk of the book, it definitely doesn’t disappoint if you’re a fan of the penultimate fight scene, complete with violence and gore. Fans of the paranormal will wish that we had more werewolf details to chew on, but the last few chapters of the book (especially the epilogue) will sharpen your interest in what Bergfield has to come. She has set up a world that is on the precipice of something huge, and anyone who finds interest in this unique werewolf she’s written about will be excited to see what’s in store. 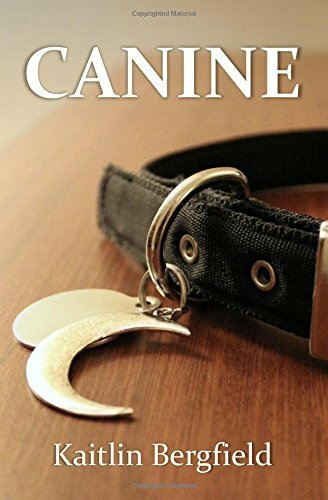 Win a digital or signed paperback copy of Canine! 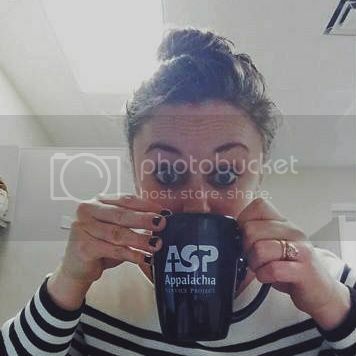 Rachel Drummond is a recent transplant to east Tennessee where she works for a non-profit that she loves. She prefers to figure out deeply personal issues in very public places, like blog posts. Check out some of her writing at http://shmesolution.com.